Winter has gone and as summer greets us all, the presence of unwanted visitors approaches. They take up in the walls and flooring of your home. These unwelcome visitors are the enemy of most home owners, including the swarms of flying termites. During the spring season, these termites tend to mate and make new colonies. As they double in numbers, these insects silently break down your home bit by bit–without you noticing any immediate signs. These swarms have the ability to chew through wood, wallpapers and flooring 24 hours a day, seven days a week. You can only imagine the sheer chaos happening behind your walls and flooring. The structural stability of your home can be compromised by these termites within 3 to 8 years, depending on the species. Though these termites are even called “silent destroyers”. However, there are still various things that you can do to fight the threat of these pesky insects. 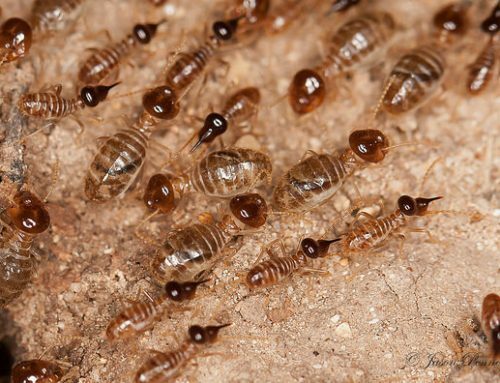 Before you can recognize the problem, you should first know what termites look like. Generally, termites are like ants in terms of their approximate size with a tan or white color. They have long and segmented bodies with six legs. Their heads are round in shape and they contain two antennae. There are three indicators that your house is infected by termites. Once you have noticed any one of these given indicators, you should immediately take action before it becomes too late. This includes repairing leaky water pipes, faucets, and AC units. 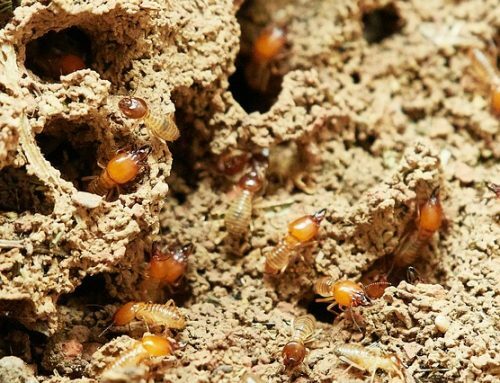 Termites need water in order to survive; eliminating their source of water may result in them having to transfer to a place where water is accessible. 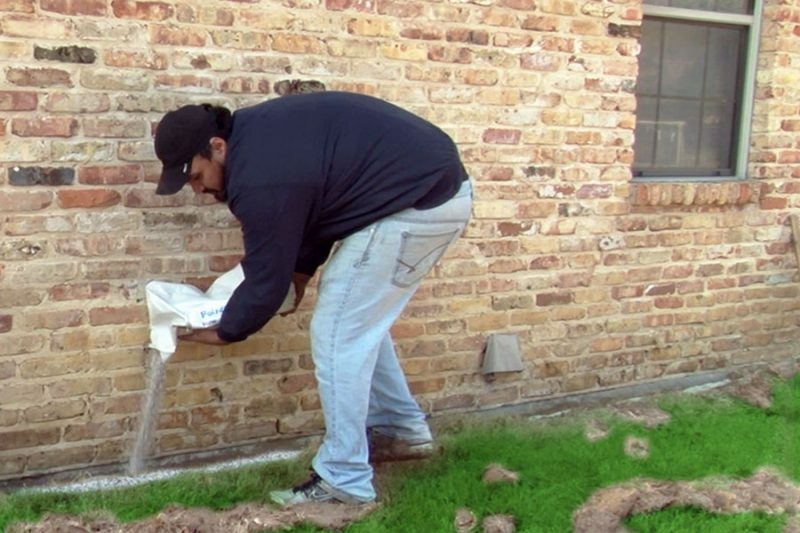 This also means getting rid of any standing water on the roof, gutter, drain lines, and sides of your house. By doing this, you are not only eliminating termites but mosquitoes as well. As was mentioned earlier, termites need moisture to support their colonies. 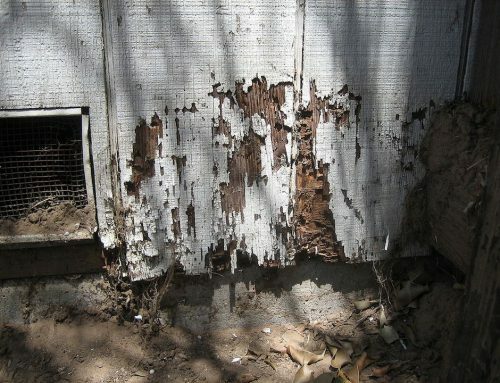 Vegetation creates a favorable place for termites because it traps moisture. Not only that, but it also gives a pathway for termites to locate new wood to feed on. That’s why it is important to remove unnecessary vegetation close to your home. Any holes, cracks, or open seams left untouched can serve as an access point for termites. Proper sealing is needed to limit these insects from entering these openings and damaging your house. Termite barriers come a in a couple different forms. One is a chemically treated soil such as Fipronil, Bifenthrin, or Imida. Some other famous brand names, are Termidor, Premise, Prothor or Biflex. Also available are stainless steel mesh nets which can prevent infestation. Once the decaying process starts, dead trees start to provide food and and an ideal home for termites. By avoiding and removing dead trees on your property, you can save your house from a future threat. -Secure your home with good ventilation. -Avoid leaving excess building materials in and/or around your home. -Do not bury wood scraps near your house or property. -Use special termite-resistant wood for your wooden structures. Termites will stay in your home for as long as you let them. Be proactive, think preventive, and be alert all the time. Protect your home from decay and premature destruction. Keep your family safe and secured, and free from these silent destroyers.